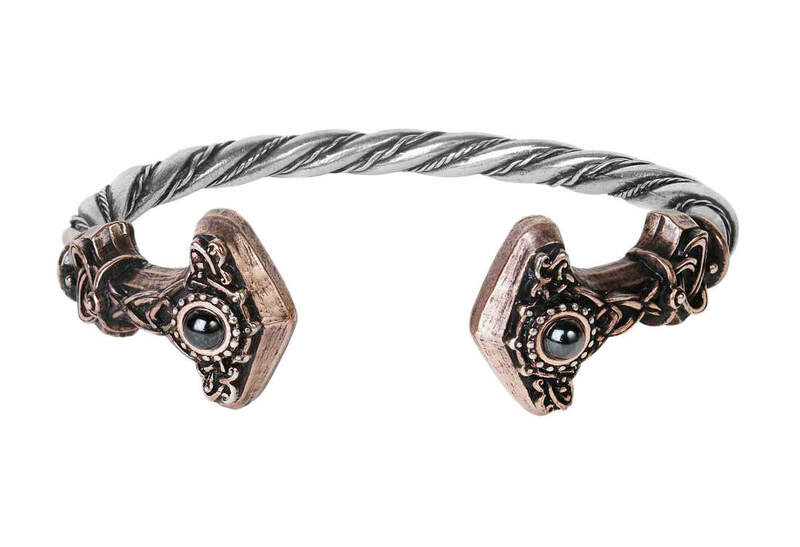 Multi color pewter bracelet that serves as a battle trophy for Scandinavians or Saxon pagan nobles. Measures approximately 3.35 inches wide, 2.6 inches high and 0.28 inches deep. 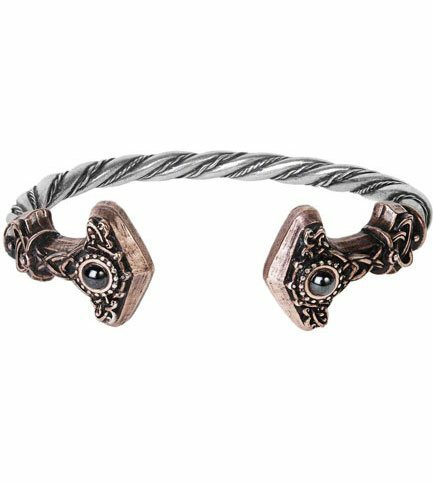 Made of two tone English pewter with antiqued bronze and two hematite cabochon stones. Sizing: Small 6" - 7.5" circumference, Medium 7" - 9"circumference and Large 7.5" - 9.5" circumference.